Now that my fridge is restocked it seemed like the only proper thing to do would be to review what I've been since work ended; a nice big IPA. 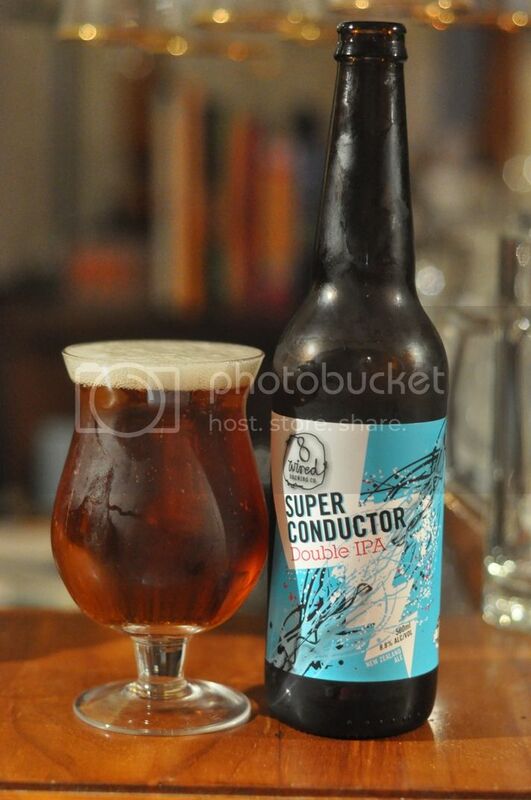 This particular one is the new one from Croucher in New Zealand and is made to emphasize the Australian Galaxy hop! The side of the bottle claims that Croucher's Galaxy is a hop bomb and thankfully that's exactly what I'm looking for tonight! This beer was produced because of a shortage of American hops on the market and Croucher could get their hands on enough Galaxy to make a big IPA. Galaxy IPA from Croucher has a brilliant golden body full of carbonation bubbles rising to an impressive head of off white foam. The retention of the head and the lacing it leaves behind is certainly in the top few percentiles for an American IPA. The body of the beer matches the top of the bar almost perfectly as well, which is a big plus point! Stunning looking IPA! I'm really struggling with a description of the nose today. I had to go into the attic today to find something and it's safe to say I've never had worse hayfever. What I can smell appears to be quite a malt driven IPA nose with strong grapefruit and pine hops. I wish I could give more detail but today that's all I can detect. 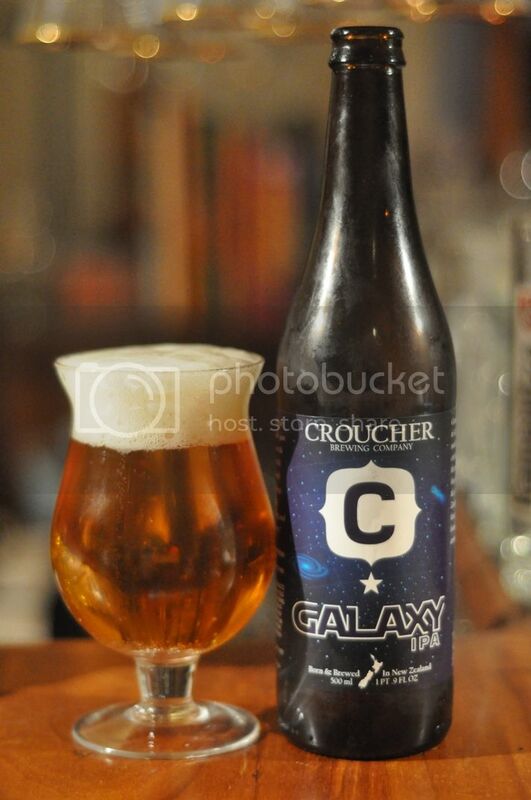 Croucher have produced a delicious beer with the Galaxy IPA. The hops are lovely with plenty of grapefruit and I think passionfruit hops, something that is much more synonymous with Galaxy hops than the piney notes the aroma was giving me. The mouthfeel is simply stunning! It has an almost creamy texture to it and has excellent carbonation, it just makes you want to drink more and more! Overall I really rate this beer. It's a really drinkable IPA that is not so dominant that it would deter people new to the style; but also not so weak to upset big hop heads like myself. I thought the hop bomb tag was maybe a little strong, yes it was a bitter IPA but not overly so. This is a really good example of an American style IPA made using Australian hops, one of the best out there in fact. Croucher is a great brewery and this is another excellent beer from them, it's one I think everyone should try.